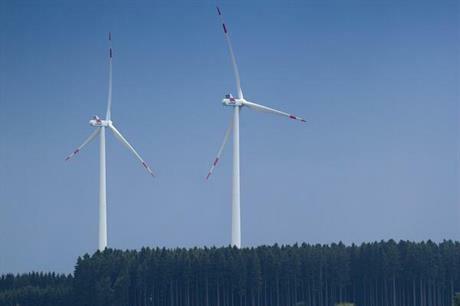 GERMANY: From 2018, German onshore wind and large photovoltaic (PV) projects could compete against each other in joint auctions of 400MW per year. Described as a pilot plan, the federal economy ministry stresses this does not "in principle" signify changing the points towards "technology neutral" auctions. The auction results "will be evaluated without prejudice and compared with those from auctions for specific technologies." The plan has also been agreed, in principle, under European Union state aid rules. It may simply be a question of time before the specific auction capacities currently reserved for onshore wind – a gross 2.8GW/year in 2017-2019, and 2.9GW from 2020 – and solar plants (600MW/year) in Germany are merged. Currently, onshore wind is beating large solar on price: The average winning bid at the fifth auction for German ground-mounted PV plants, which closed on 1 August 2016, was €72.3/MWh. The maximum bid allowed for onshore wind in the first auction due in 2017 is €70/MWh. But if one technology significantly displaces the other, an inefficient system could result. Already solar is lagging behind with just 1.48GW added in 2015, compared with the government target in the renewable energy acts 2014 and 2017 of 2.5GW per year. German solar capacity stood at around 40GW, compared with onshore wind at 41.7GW at the end of 2015. Wind energy and solar generation complement each other – in periods of lower solar output, wind generation is often higher and vice versa, the research institute Fraunhofer said in its latest report on solar power in Germany. A balanced mix of solar and wind capacities is significantly more advantageous for the electricity system compared with a one-sided expansion) that a competitive support system could lead to. If solar and onshore wind capacity can be held at similar levels, this combination reduces the need for storage capacity, the report said.